Monday 26th February 2018: Woolworths has today reaffirmed its commitment to helping customers choose a healthier basket following the release of Deakin University’s Health Ratings for Supermarkets Report. The report assessed all Australian supermarkets policies and commitments towards health and nutrition and ranked Woolworths as the highest performer in the group. The report also called on Australian retailers to do more to encourage healthy eating. Claire Peters, Managing Director, Woolworths Supermarkets said: “At Woolworths, we understand that health is important to our customers and we want to help make it easier for them to make healthier choices. “We are pleased to see key initiatives, like our support for the Federal Government’s Health Star Ratings and our Free Fruit for Kids program, which has given out over 18 million pieces of fruit in the last year alone, being recognised in the Deakin University Report. According to recent research commissioned by Woolworths, 90% of Australians have taken steps to eat better in the past 12 months. In response, Woolworths has begun increasing space in new and renewed stores for fresh fruit and vegetables as well as allocating more space to dedicated health aisles as part of a broader focus on health. Improving the nutrition profile of Woolworths own brand products. In the last five years, 395 tonnes of salt, 118 tonnes of saturated fat, 300 tonnes of sugar have been removed from products, while 8900 tonnes of whole grains have been introduced to the range. 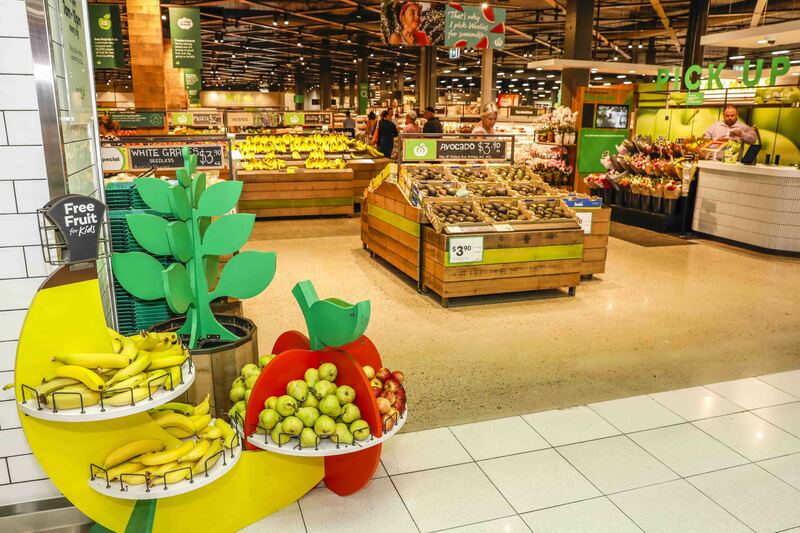 Reinforcing the benefits of fresh fruit and vegetables in campaigns such as Woolworths Grown for Gold, launched this week as part of Woolworths Fresh partnership with the Gold Coast 2018 Commonwealth Games. Woolworths Fresh Market Update was also reintroduced towards the end of last year. The launch of a new range of Fresh Food Kids lunchbox friendly sized fruit. An affordable health campaign, launched earlier this month which saw prices dropped on a range of products.